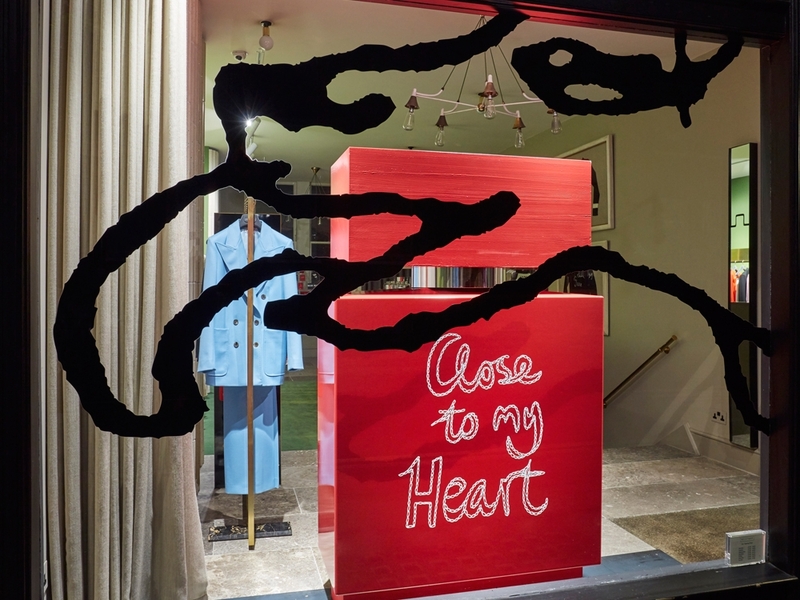 Approached by the Bella Freud Studio, Propability created a giant scaled up version of the ‘Close to my Heart’ perfume bottle, standing 1.6 metre tall. The bottle was constructed in MDF and acrylic with a super high gloss paint finish and die cut vinyls applied to exactly replicate the original bottle. It was originally used early last year at Fenwick Bond Street and has been refurbished for the Valentine scheme at the Bella Freud stand-alone store in Marylebone.